How to negotiate salary during interview and how much salary should be demanded by a mechanical engineer is the most perplexing question in minds of all engineers when they have been shortlisted for a job/ position. These things are learned over time. I received many queries from fresh engineering graduates to provide basic guidelines on how to assess salary demand for a particular job. Here I have divided these guidelines in two portions. One for experienced professionals and job seekers with past experience and one section with guidelines for fresh graduates seeking their first job. Never settle below your current salary. Your current salary includes all net cash that you receive each month, provident funds, medical facilities, fuel/ vehicle etc and whatever other facilities you are getting. Convert your facilities into cash form and this becomes your actual monthly value that you are getting at this stage. Always add one annual increment to your current salary. Because there are high chances that you will not get first annual increment at your new job (if you have not completed six months till December of that particular year). Mostly this practice prevails in all HR departments. So you can tell this to your prospective employer that if you stay at your current job, this much increment you will be receiving at end of the year. Always try to get salary ranges/ salary insights from current employees of the company. Being an engineer, you can always find a link inside all companies. There might be a senior of your engineering college or your junior already working in that company. Even if you do not have a college fellow, you can easily arrange a meeting with any employee of the company to discuss salary ranges for engineers for a particular post. If you are a fresh engineer with no past experience, then situation is a bit different. You do not have past experience. Usually employers exploit this situation and offer lesser salaries quoting your inexperience as the main cause of lesser salary. You have to counter this wisely. Always try to get insights from employees already working in that department on how much salary is being offered to engineers in that department. Never settle below a minimum ethical wage for engineers. I cannot quote a figure/ amount here. Because minimum ethical salary varies from country to country. You have to assess that minimum level. For example salary of an engineer with four years degree cannot be equal to the salary of a diploma holder/ technician. Never set your mind on too much high demands that employers find it difficult to select you. Be humble and set your focus on getting experience. But in lure of this humbleness, do not set you salary demands too low that it becomes difficult for you to get out of this vicious cycle. Always remember that once you start your first job with lesser salary, employers at other job interviews will not offer you a bigger jump. They will always consider your previous salary. So keep this thing in mind. There are rare cases where employee get good salary jumps during job switching. I hope this article helps you decide how much salary should be demanded in an interview. If you have any questions in mind, post your queries in comments. Good luck for your interview. 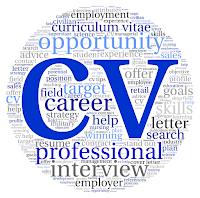 Read more about interview tips and interview questions.